CleanPort is an ultra-clean flat designed, business portfolio theme. CleanPort is a flat design styled WordPress portfolio theme for businesses to show off their products and services in style. 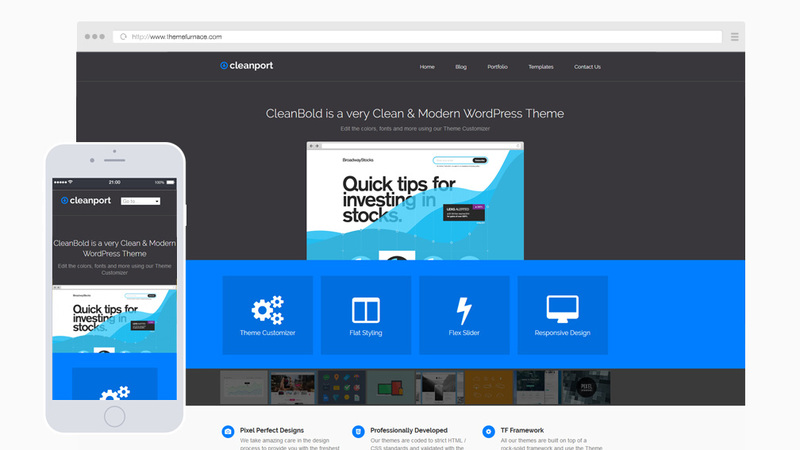 CleanPort is extremely light-weight, it exclusively uses built-in WordPress features so there is no bloated code to slow your site down. You can edit many options using the Theme Customizer, change the colors, fonts, slider, footer text and tracking scripts. Custom post types for Slides, Portfolio items and built-in support for the Testimonials plugin.